Every year our town has a HUGE christmas parade. It travels through a large part of town and people start putting out folding chairs the day before to claim their spot. Every part of the parade route is packed with people (see the photo below) so it can get a little crazy. We got pretty lucky this year in terms of spots. We went with some friends and even though we didn't claim a spot early, we still were able to see pretty well. 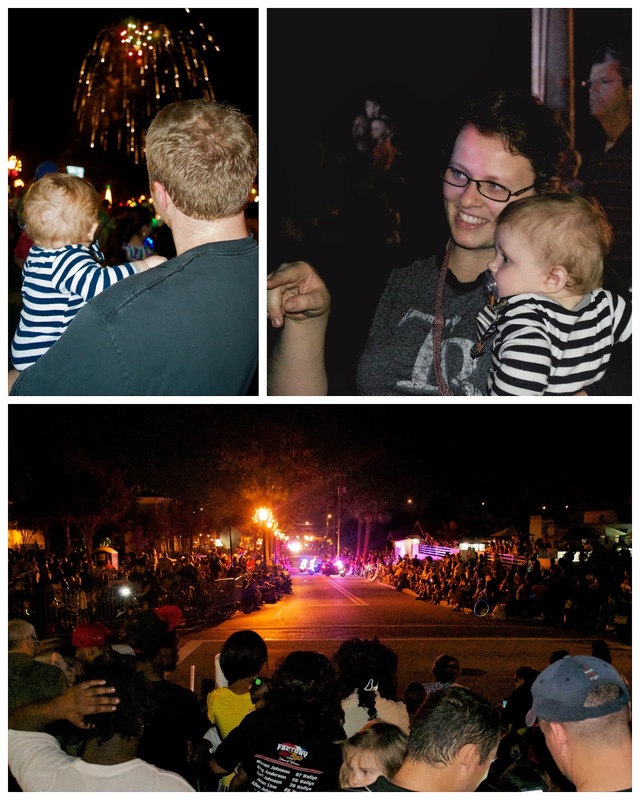 The parade kicked off with fireworks (our town loves fireworks) and Will didn't freak out at all and seemed to enjoy watching them. We only stayed for about an hour since it was on the later side of bedtime. This meant that we didn't see some of the cooler floats but it was fun getting out into town and Will really seemed to like watching everything.